Our guide to Provincetown will help you find the best bed and breakfasts in Provincetown Massachusetts. There are tons of great bed and breakfasts in the city of Provincetown, our city guide will help you find the best bed and breakfasts. You may have a hard time deciding what to do in Provincetown, but we make your decision easy. 102 Bradford St, (508) 487-3232 - Immensely popular for thirty years, Gabriel's at The Ashbrooke Inn continues to live up to its sterling reputation. 14 Ct St, (800) 487-2292 - The Revere House is a beautifully restored colonial house located in the heart of Provincetown nestled between Commercial and Bradford Streets. 164-166 Commerical St, (508) 487-1850 - Great location and great stay in heart of provincetown! 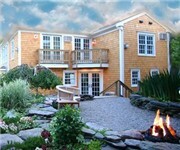 12 Ctr St, 5084870381; 8004771867 - The Tucker Inn is a bed and breakfast located in Provincetown MA. There are plenty more bed and breakfasts in Provincetown. See all bed and breakfasts in Provincetown Massachusetts.